DynamicBrain is the Canadian partner of Posit Science Corporation, the leading provider of clinically proven brain fitness programs. We are passionate about health and new forms of cognitive training with a clear focus on educating the public on brain training and the vital importance of improving brain fitness as part of a balanced, healthy lifestyle. Backed by the innovative research of Posit Science and a global team of 50 world-class scientists, DynamicBrain is able to provide clinically proven brain training programs to Canadians of all ages and French-speaking people around the globe. Our online brain training program, BrainHQ, produces benefits that will improve your brain speed, attention span, memory, intelligence, navigation, and your people skills. Using intelligent algorithms, BrainHQ constantly adjusts to individual performance so that each user has a custom-designed journey through the stimuli experience. In studies, this approach has been shown to generalize benefits from the elemental skills practiced in the exercises to significant improvements in everyday activities. As a result, BrainHQ brain fitness programs are able to make you cognitively fit, regardless of age. With a fun and interactive interface, BrainHQ offers 90 second exercises which seamlessly integrate into the busy lives of Canadians. In due course, you will enjoy a better quality of life, as well as, increase your productivity using these scientifically proven brain training exercises. "BrainHQ is a fun, challenging and educational platform for brain training. I love the variety of activities, the ability to connect with my friends and watch their progress and in particular the flexibility of exercising from anywhere - it motivates me to train, even with a busy schedule!" Already recognized by trusted scientists, doctors, and worldwide opinion leaders, BrainHQ cognitive training exercises are rapidly being incorporated into organizations around the world for enhancing employees’ cognitive functions which leads to an increase in productivity – following the benefits that were realized by adding physical gyms to workplaces. 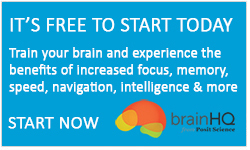 Furthermore, many doctors and health practitioners (psychologists, physiotherapists, rehabilitation, post-chemotherapy and driving centres, hearing and vision clinics) have been increasingly recognizing the benefits of brain training and incorporating BrainHQ’s clinician portal into their practice that will allow prescribing clinical training courses to their patients, monitoring performance and adjusting as required. 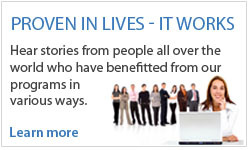 "BrainHQ is a truly 'state-of-the-art' program that incorporates all we have learned. It's a huge step forward for brain science," said renowned neuroscientist, Michael Merzenich, PhD, Co-Founder and Chief Scientific Officer of Posit Science and professor emeritus of the University of California San Francisco. "Since these exercises can benefit virtually everyone, BrainHQ advances our mission of getting the science out of the lab and into the hands of those who need it most," he continued. "Just a few minutes a day can improve your ability to think faster, focus better and remember more. And those skills, in turn, enhance the vibrancy of everyday life." "We've seen these exercises help people across the population," said Dr. Mahncke, Chief Executive Officer of Posit Science. 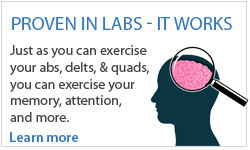 "Whether it's a young Wall Street trader looking for an edge or an older diner trying to follow a conversation in a noisy restaurant, a 75-year-old behind the wheel of a car, a soccer Mom juggling appointments, or a soldier or athlete wanting to be their best...the BrainHQ exercises are proven to increase processing speed and sharpen the brain." What makes the BrainHQ exercises uniquely effective is the patented bottom-up, customized approach developed by Posit Science. The exercises improve brain function at the root, resulting in improved attention, memory, and executive function. Reasoning, as well as visuospatial, auditory-language, and interpersonal skills, are also improved with BrainHQ's calculated methods of brain training. BrainHQ deploys all of the Posit Science exercises that have been shown to drive substantial benefits in more than 70 scholarly articles published in science and medical journals, including the Journal of the American Medical Association. Those benefits include significant gains in brain processing speed, attention, memory and numerous standard measures of quality of life. Train Your Brain & Break a Mental Sweat! Our brain training exercises are much like going to the gym to get your body and muscles physically fit. One major advantage is that the gym never closes because you can train online anytime and anywhere. Also while our exercises are engaging and require you to constantly adapt to new challenges you won’t need to shower when finished! When it comes to brain training programs, trust the experts with the science behind it and start your brain training with BrainHQ today! You can get started in minutes, just follow this link to begin training your brain online.